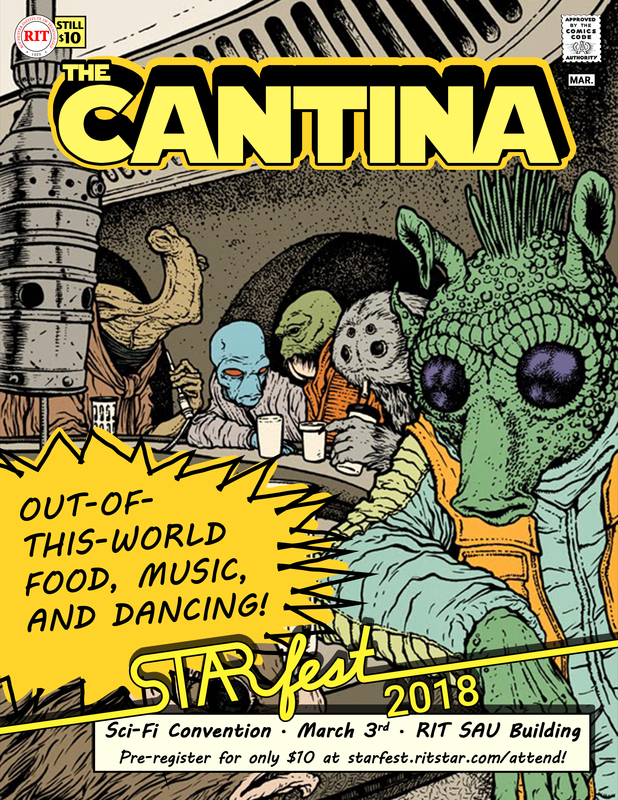 STARfest 2017's unified aesthetic was well-received. 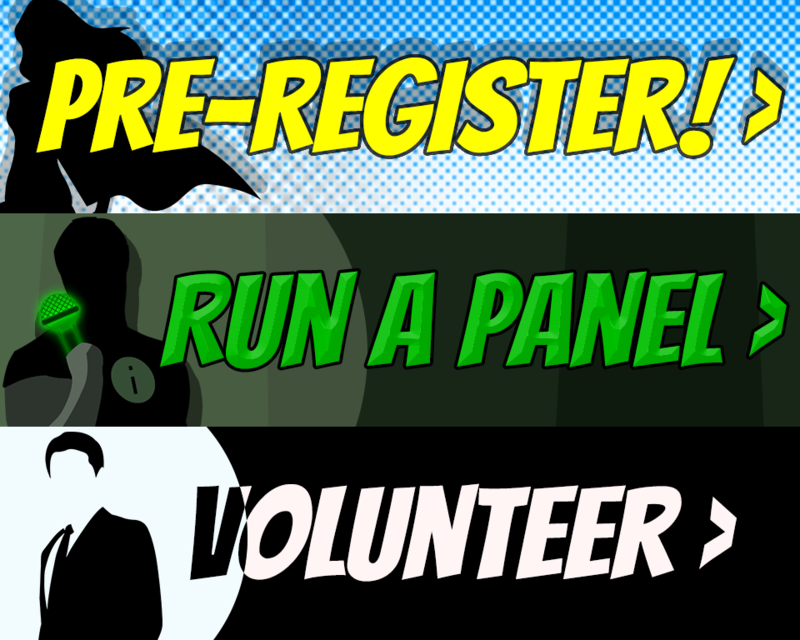 I ran for and was elected chair of both the 2018 PR and Aesthetics subcommittees with the goals of improving efficiency of sharing materials and funds between those subcommittees and, of course, building on the success of 2017. 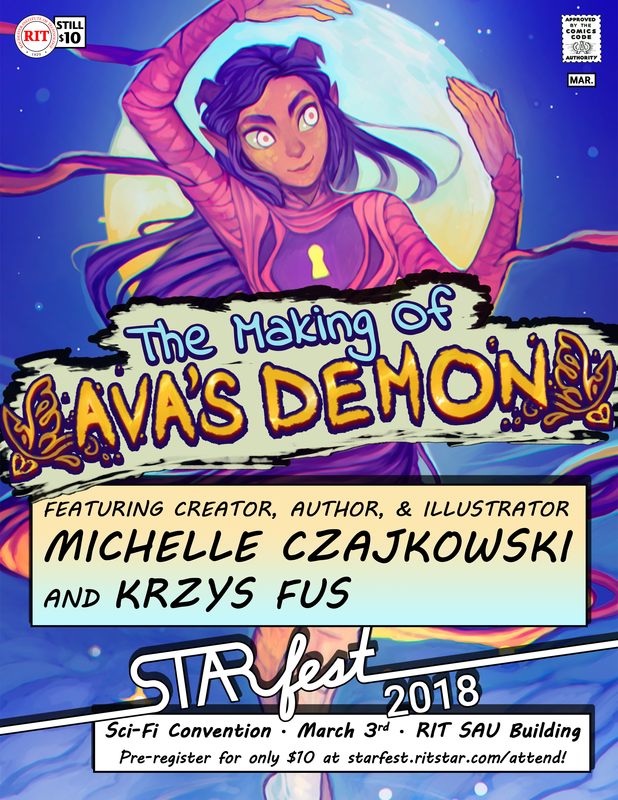 At the same time, I wanted to make sure the 2018 aesthetic would be distinct from 2017's. 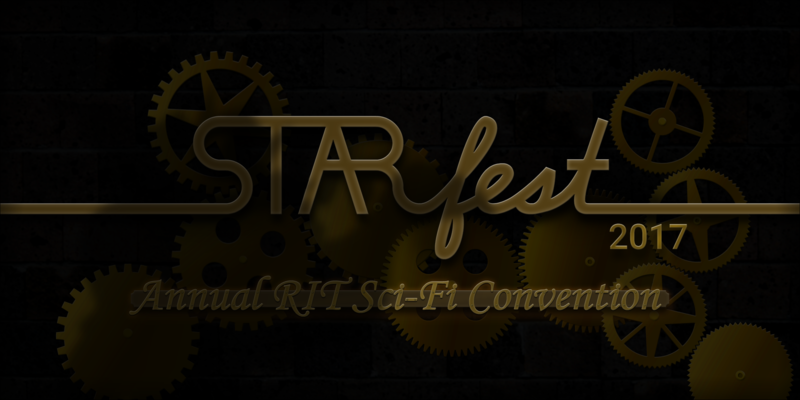 Additionally, I personally felt, in hindsight, my 2017 take on the steampunk aesthetic did not have enough contrast in certain places where things needed to “pop”, such as convention signage—I liked how I worked color variety into the steampunk graphics, but I still wanted more range and flexibility in 2018. With all that in mind, and encouraged by the ever-growing popularity of the DC and Marvel franchises, the committee and I agreed to go with a comic book aesthetic. 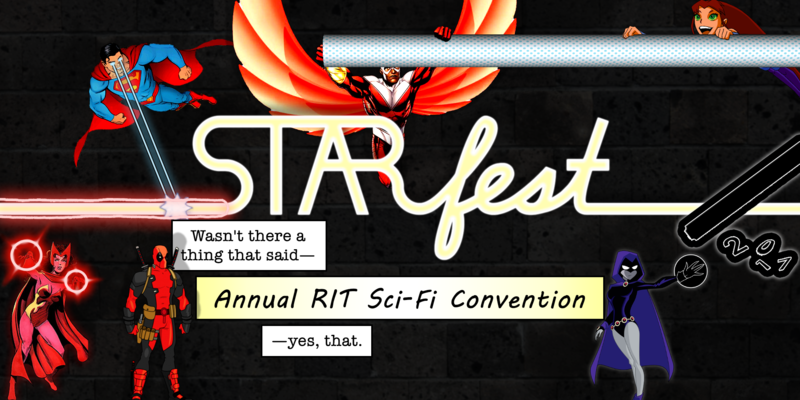 Having agreed to lead on an aesthetic in which I had not really worked before, I first set about teaching myself useful Photoshop brushes, effects, and filters that allowed me to match a variety of comic book art styles and textures, which I could then teach to other committee members. 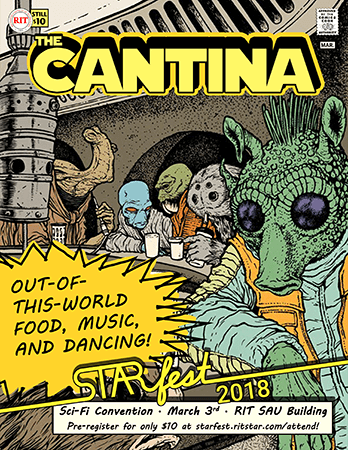 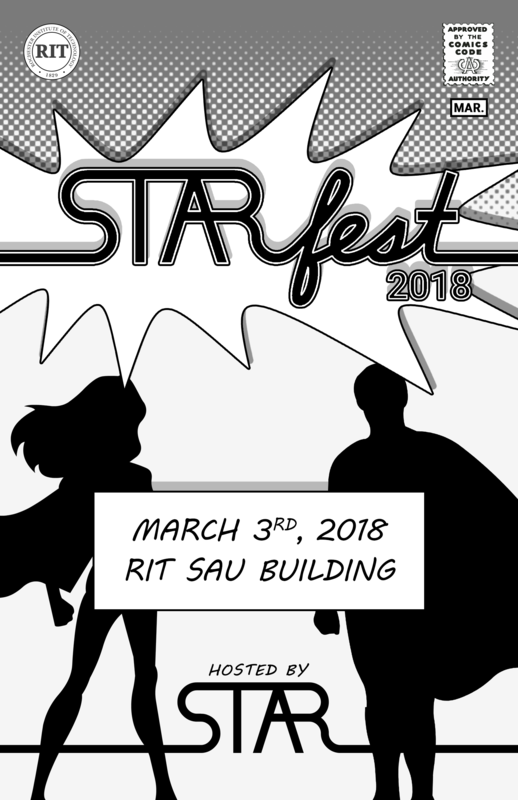 After creating the initial poster to promote the convention (using “Save The Day” instead of the usual “Save The Date” line), I really liked the idea of creating a series of comic book covers to promote events at STARfest. 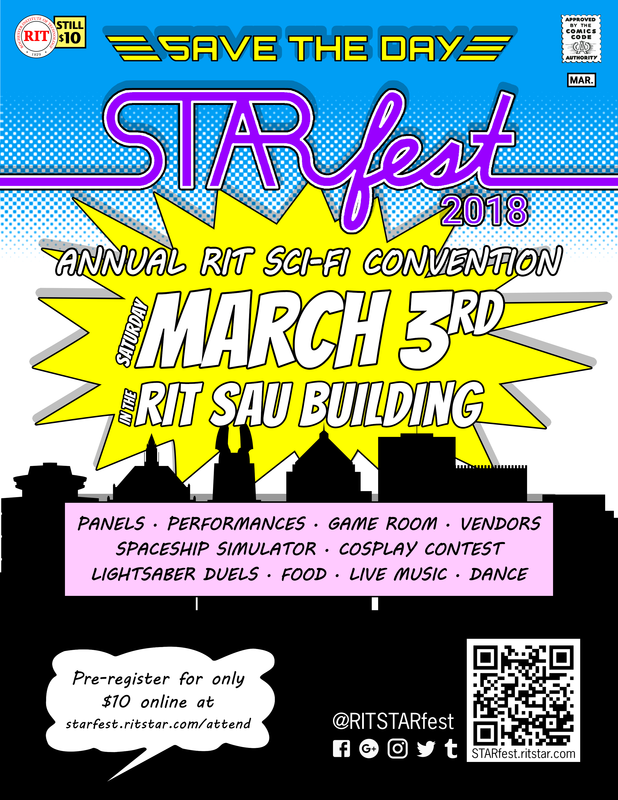 Where 2016 and 2017's event posters had consistent footers, 2018's incorporated other shared elements, such as the month of the convention, cost of admission, a variant of the RIT logo made to look like the old DC Comics logo, and, of course, the Comics Code Authority stamp. 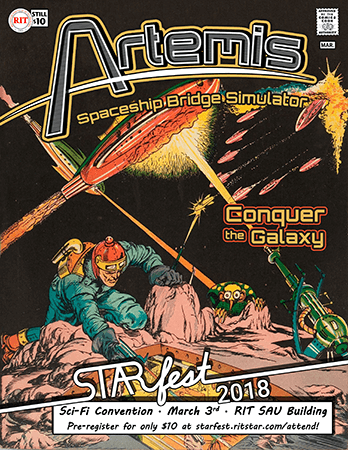 I enjoyed trying to work with a few different art styles—my favorite being turning an old Planet Comics cover into a custom Artemis Spaceship Bridge Simulator cover. For core convention things, I stuck with some of the most iconic superhero comic imagery and styles—bursts, halftone patterns, hard shadows, a city skyline (based on iconic Rochester buildings, of course), and silhouettes based on Superman and Supergirl. 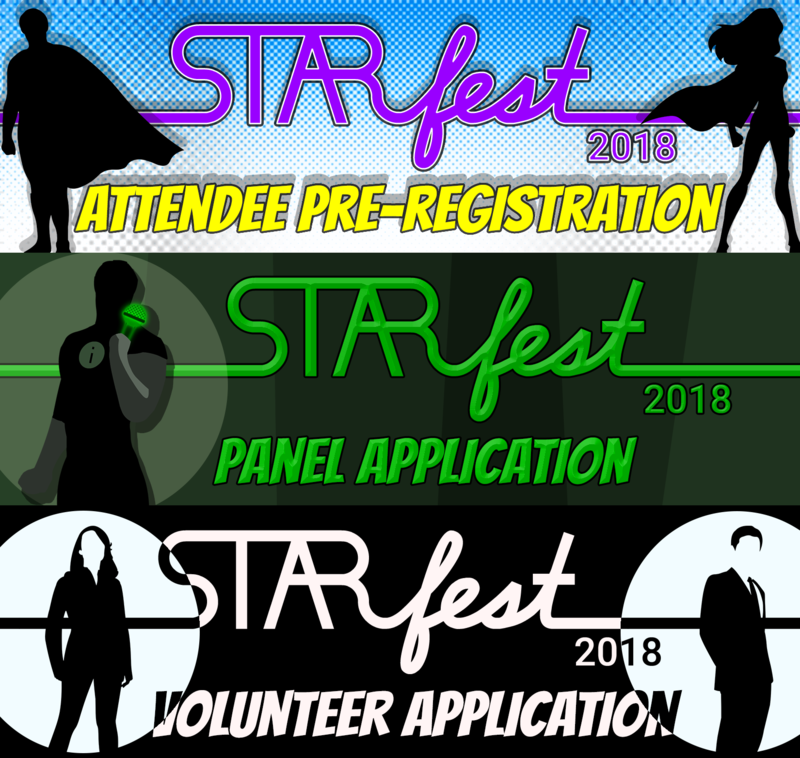 For the different badge types, I tried to stay in the same color schemes as the year before (e.g., green for panelists and performers, black and white for volunteers), this time portraying volunteers as special agents (à la Men In Black or S.H.I.E.L.D.). As in 2016 and 2017, the same styles were used across the application forms, relevant links, and the con badges themselves. 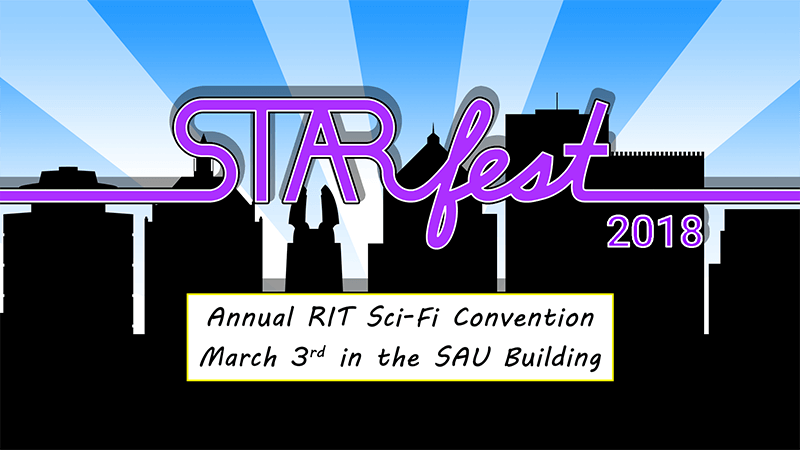 And, of course, building on the best of STARfest 2017 meant creating an even greater amount of social media content for the 2018 PR cycle (again, working with a variety of comic book graphics and art styles). I have to give a huge shout-out to Alex Froio, who executed a great PR stunt in which he dressed as J. Jonah Jameson in the RIT SAU building and accepted pictures of Spider-Man from members of the RIT community in exchange for a STAR prize. 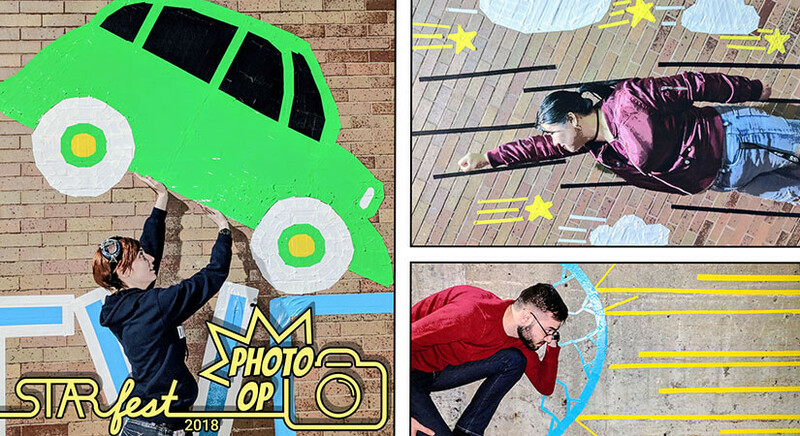 A big new addition I am proudest of was duct tape art “photo op” locations around the building where the convention took place. 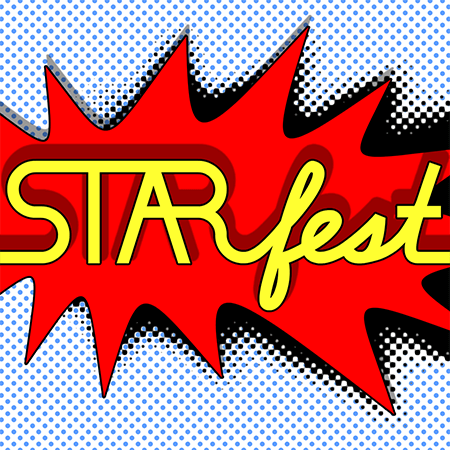 After deciding with the STAR PR committee what sorts of scenes we wanted to use, I personally created three backgrounds out of colored duct tape: a force field shield you could pretend to project to block incoming shots, stars and clouds you could pretend to fly through (with a sideways photo), and the iconic car Superman lifted on the cover of Action Comics #1. 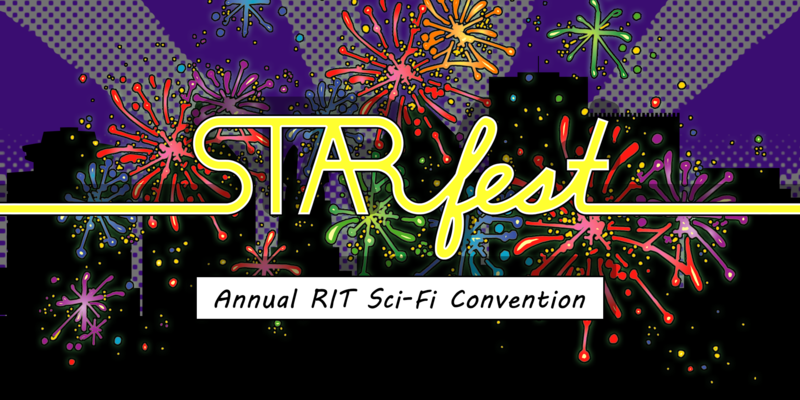 As with the last two STARfest transitions, I created a new series of cover photos to tell a story of the transition to the new year's theme. 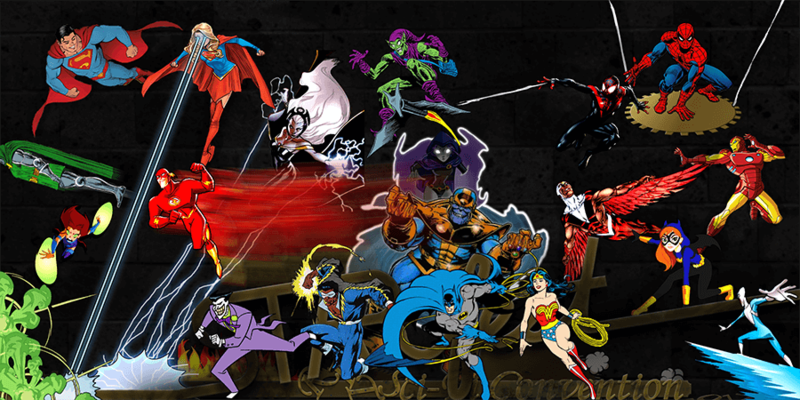 Rather than use robots again, the 2017-2018 story involved a swarm of comic book villains destroying the previous year's cover photo, followed by an a swarm of comic book heroes pushing them back and building the final 2018 scene. I tried to incorporate characters from a range of appearances and styles their franchises' histories, so a big challenge was tweaking their graphics so their different art styles would not clash too much, while still maintaining enough of their individual styles. 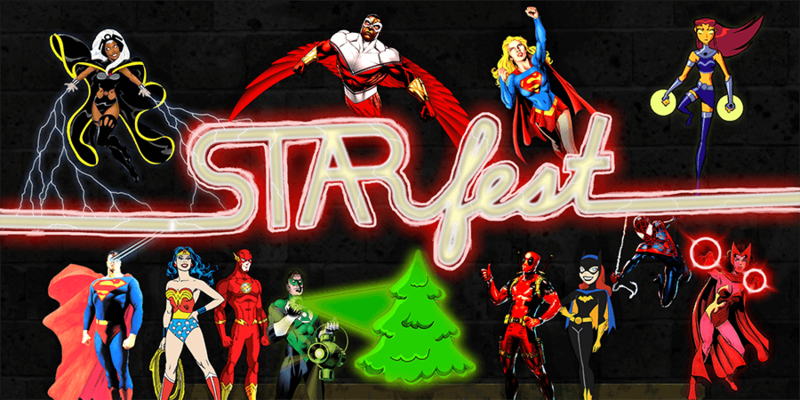 I also tried to find ways characters' own powers could be used for more than just destruction/construction, such as Scarlet Witch's power causing the red glow around the logo on the Christmas frame, the Green Lantern Christmas tree construct, and the new subtitle being part of an exchange between the voices in Deadpool's head. 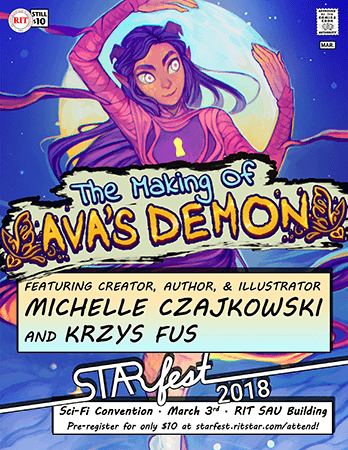 This ended up being my longest transition series, with 6 frames (not counting the final 2018 cover photo). 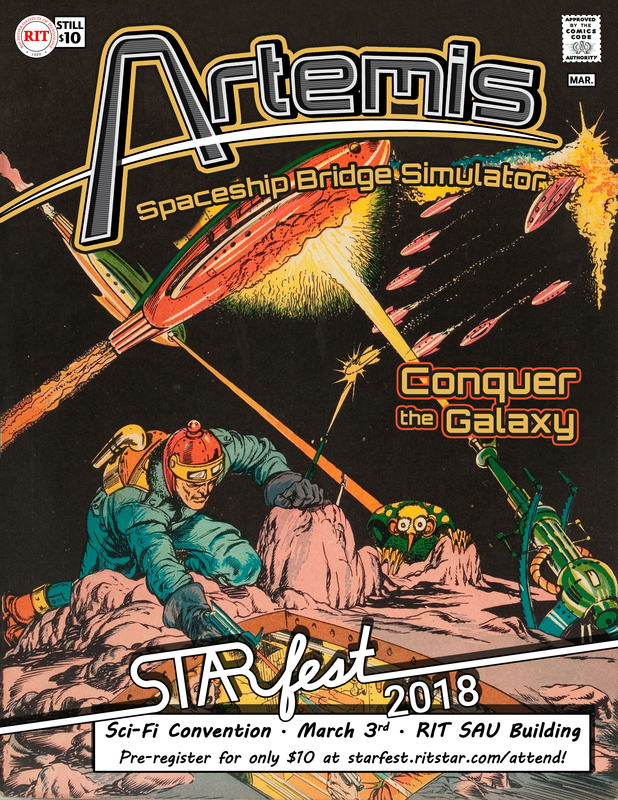 I knew after 2018 I wanted to take a step back from STARfest PR, having had a hand in it every year since the earliest days of STARfest. 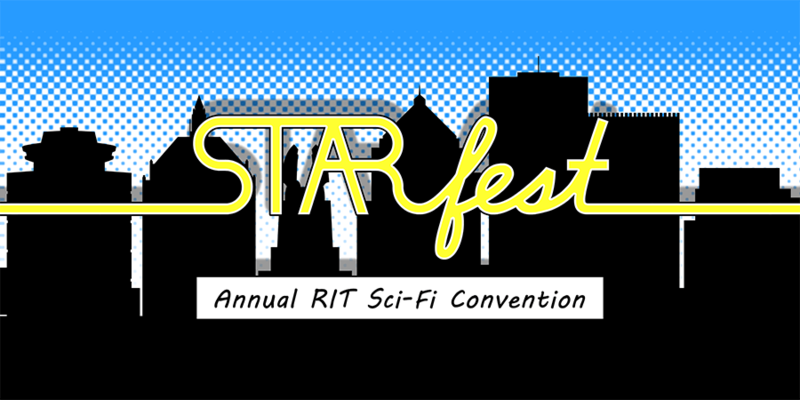 So on top of our usual procedures for team file sharing (e.g., making sure everyone can access PSDs and other source assets), I spent a fair amount of time in the 2018 PR cycle checking and updating associated documentation so my successor would be able to run things without me for STARfest 2019. 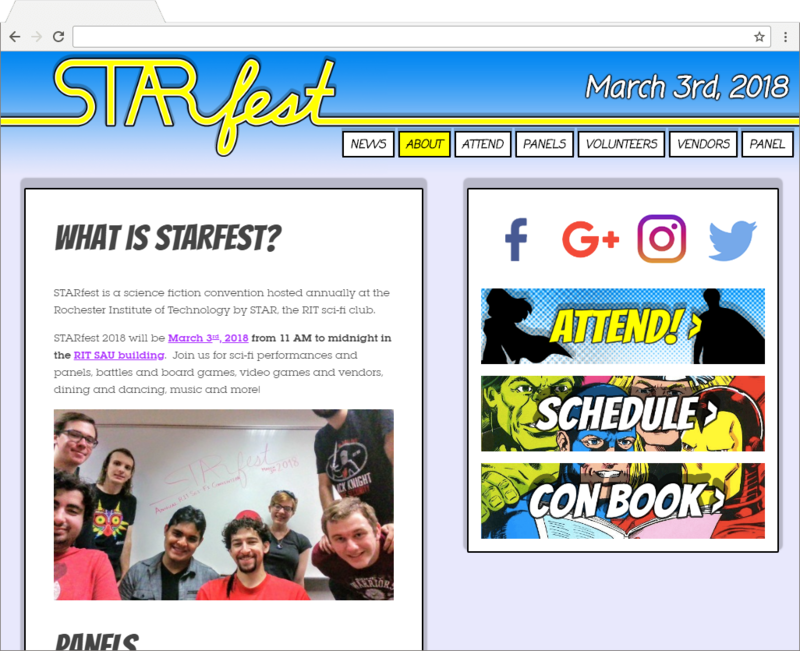 I also took 2018 to overhaul the STARfest website—the site still uses Tumblr to do news posts and have a customization interface friendlier to non-developers, but where the previous site was written on top of Tumblr's old default theme, the 2018 site was rebuilt on top of the latest default theme, which included more of Tumblr's keyboard shortcuts and social features, and gave me a chance to cut out some unnecessary bloat. 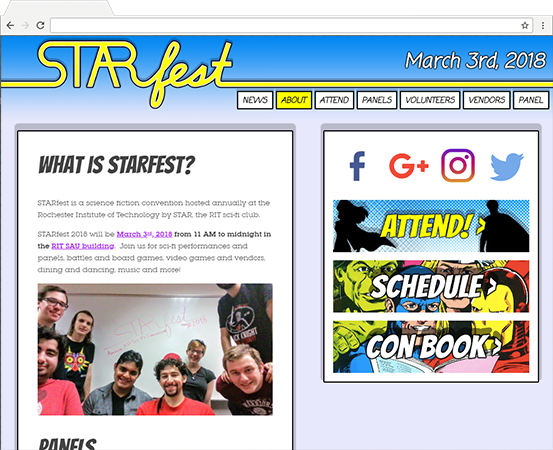 I also merged the social media links with the other featured links section, into a single featured links sidebar, which made better use of available horizontal space in wide windows and condensed more predictably on narrow ones. 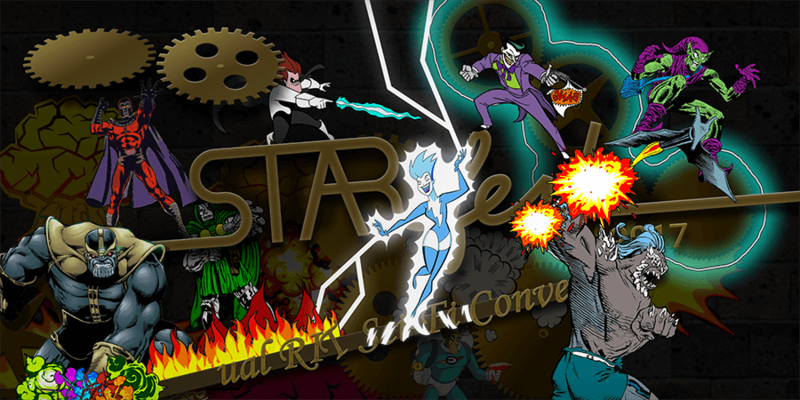 I do not know whether I will help out with STARfest PR or Aesthetics again after 2019, but whether I do or not, I am incredibly proud of my work these past several years, and if 2018 is my final year, then what I managed to accomplish this PR cycle seems a great note to end on.